A Healthy Diet. Invasive Species and You. 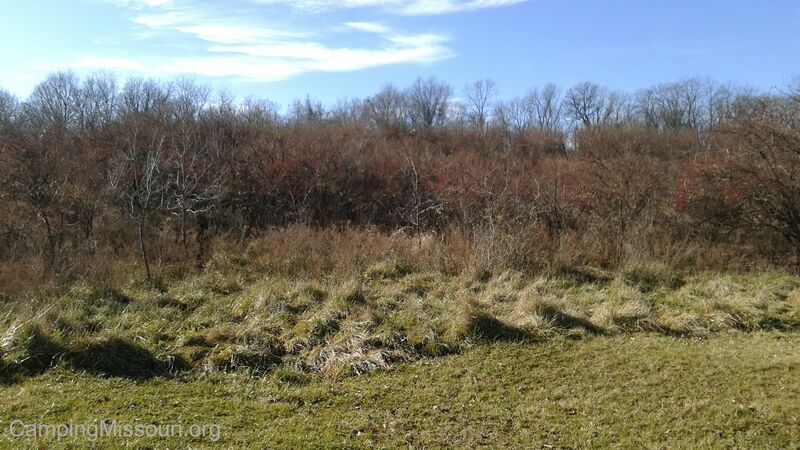 A field of Bush Honeysuckle at Jefferson Barracks County Park, consuming the open space. An area of volunteerism that I have dipped my toe in this past year was at a couple of habitat restoration events, put on by the Open Space Council for the St. Louis Region as part of their Operation Wild Lands (OWLs) initiative. 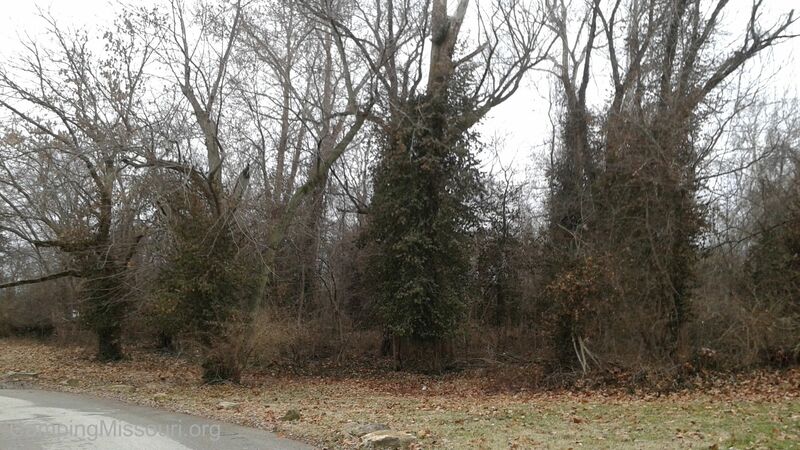 These were both on Saturday mornings in parks in the St. Louis area, removing invasive plants from the nearby forest. In Bluebird Park out in Elllisville, we tore out all the Bush Honeysuckle we could find in the Roger Klamberg Woods Conservation Area. 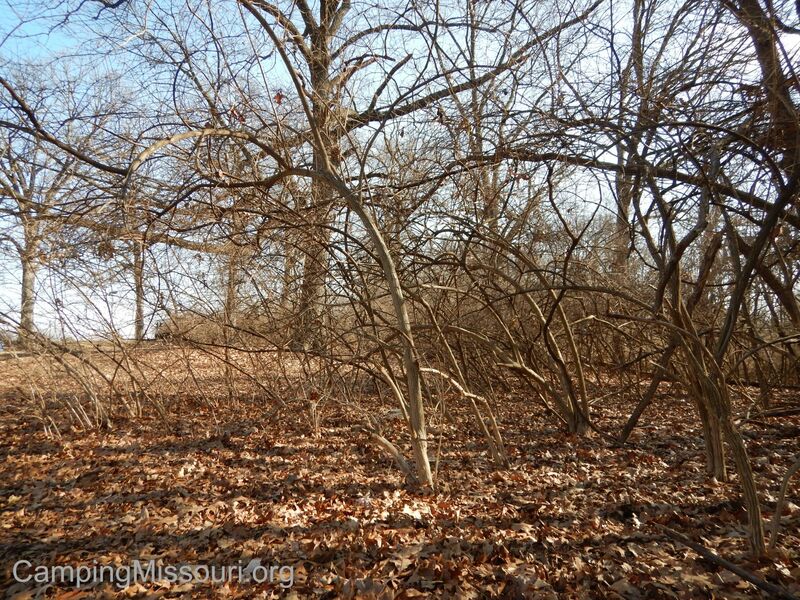 At Greentree Park along the Meramec River, down in the floodplain along Marshall Rd. that is shared by Kirkwood and Valley Park, we pulled Wintercreeper off of the surrounding trees that stand in the open areas flanking the walking trail there. They were both fun events, working alongside other enthusiastic volunteers in the local outdoors, but as the morning passed and I felt the soak of sweat on my back, I had to ask myself…why bother with invasive species? These are just plants that are really good at growing, so wouldn’t it make sense to let the natural balance work its magic and be happy that some of the members of the ecosystem are thriving in these places? Surely I could spend the morning just hiking a trail somewhere and let nature be nature. Wintercreeper, on its way up a tree. When I was in my late teens, I moved out of my parent’s house and got an apartment with a buddy of mine. It was pretty cool. I had a job that allowed me to pay my bills, and I had a metabolism that allowed me to eat whatever I wanted. Fast food was regular fare for this guy, and I didn’t think twice about the nutritional content (or lack of) that I was putting into my face. It was a time of go, go, go, for my youthful self and I certainly didn’t appreciate it as much as I should have. Things have changed in the years since, and I sometimes look back jealously on those days when my relative healthiness just happened without effort. There was a period of time that I remember specifically when for a while my primary diet was Totino’s Party Pizzas. At the local grocery store they would be on sale for 10 for $10! I would purchase a freezer full, and then when it was time for a meal at home, I would pause whatever movie I was in front of and go pop a Party Pizza in the oven. They were awesome! All sorts of toppings, crispy crust, just about enough sodium and fat to kill a man, and I could eat an entire one in a sitting. They were the best. I was young and independent and out in the world being responsible for only myself. My body, fueled by hormones and a lack of good judgement, was indestructible. During that time, there was at least an entire month where I probably ate one Totino’s Party Pizza a day, if not two now and again. Man, I miss my 19 year old metabolism. Bush Honeysuckle, waiting for Spring. So I was clearly not healthy, at least when it came to my intake…but my body could handle just about whatever crap I put into it. If I were to attempt this diet now at 36, I would be on my way to heart failure pretty quickly. I need more diversity and balance in order to be healthy. Vegetables, fruits, a responsible amount of proteins and fats and carbs. Water, from the tap, without added sweetness. We all know this, and we all try to practice mindful eating most of the time. It is okay to slip and indulge oneself now and again, because hey, we all only have soooo much willpower and who would want to live without some occasional rewards? 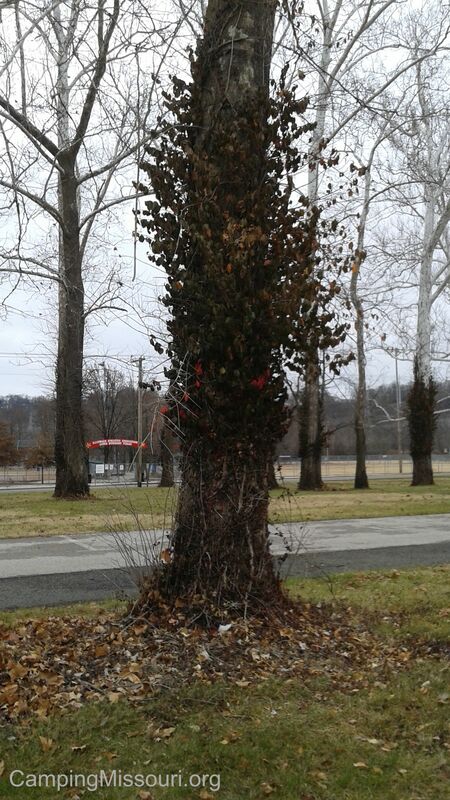 Wintercreeper, choking out some trees along the Meramec River. I kind of think of invasive species as being along similar lines. Diversity and balance are the key to a healthy ecosystem, just like it is to my own physiological system. Too much of one thing can be harmful, so we have to find a medium point that allows for the best results overall, health-wise. The problem with invasives is that they are really good at growing, and because they are good at growing they take over an area. Through their own abilities, they become the “overindulgence”, the “too much of one thing”. 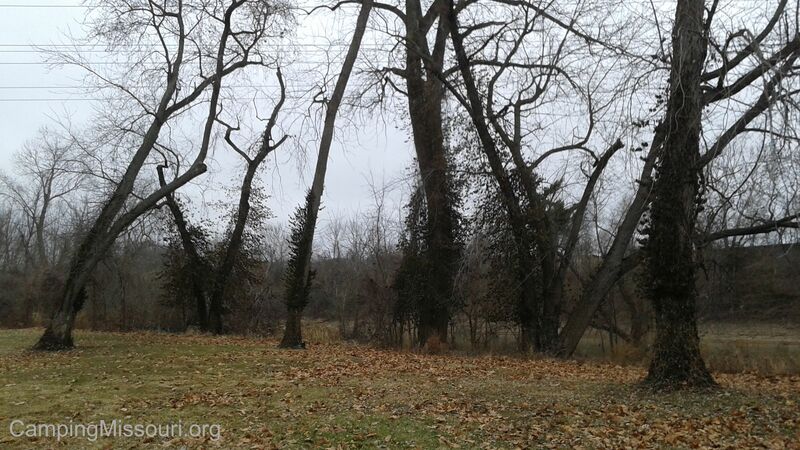 They choke out the other plants on a riverbank with their vines, including great trees, in the case of Wintercreeper. They block out the precious sunlight with their arching branches, stealing life from the native shrubs and grasses, in the places that become overwhelmed by Bush Honeysuckle. They fill the riverways with teaming schools that overpower the other fish, consuming all available food sources, and then jump out to hit us in the face as we cruise along, as we have come to know Asian Carp. They are an imbalance that harms the health of an ecosystem. Hey, we’ve all seen pictures of the draping Kudzu vines in the southeast states of North America, right? Like an unstoppable tarp of green that sweeps over every bush and tree, just growing and spreading and dominating the landscape with no end in sight, expertly stealing the nutrients from the ground and hoarding all the life giving sunlight above. They are not a life form that joins in on the natural symphony of a forest, playing its part as a beneficial member of a diverse and thriving balance. They are an invasive species, and they are the unchecked bullies of the natural world. The woods and rivers need our attention and stewardship to stop them. 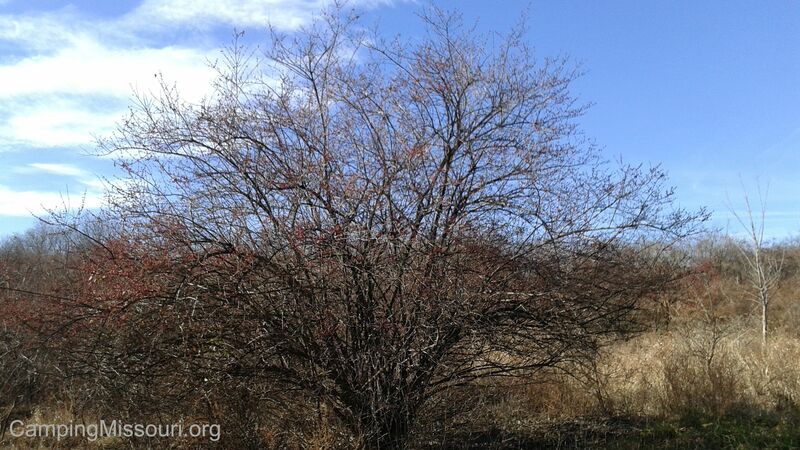 Lots of little red berries, filled with seeds for the birds to distribute. I know that at least within the St. Louis area, they have been subtly getting worse. Bush Honeysuckle is all over my neck of the woods, and as you go out into Missouri it isn’t nearly as widespread…but give it time. I’m sure that all the fisherman and boaters and canoers and kayakers can share personal experience regarding the invasion of Asian Carp. Wintercreeper, Zebra Mussels, Feral Hogs, and many others are on the list of invasive species as well. And most of them were introduced at some point by people who had the best intentions. We can’t fault them for it…they saw them as solutions to a problem. This plant here grows very quickly and to the right height, so this will make an excellent row of wind block for the western edge of my cornfield. This ground cover here will work perfect for keeping the riverbank intact, and keep the stream crystal clear all year long. This fish eats and eats, and it will do all the underwater yard work in my lake so that it stays trimmed and clean for the kids in the summertime. The best intentions, but with a lack of foresight. So in some of these areas where the invasives are denser, organizations like the Missouri Department of Conservation, The Open Space Council, St. Louis County Parks, and other municipal entities and private and public groups with a lot of volunteers spend weekend mornings throughout the year working together to keep these bullies in check. Tromping through the forest in the back end of a nearby park, pulling out Bush Honeysuckle with my kids and other motivated volunteers is kind of fun too, in an “I’m Godzilla” sort of way. We have far to go to eradicate these plants from our environments, but we can each get involved and chip away at the problem. It may seem overwhelming (especially once you can identify Bush Honeysuckle by sight), but their advance can be held back by our efforts if we just keep at it. And then we can appreciate OUR OWN personal impact, through the work that we’ve done, on the diverse and healthy forests nearby that we love to spend time in. 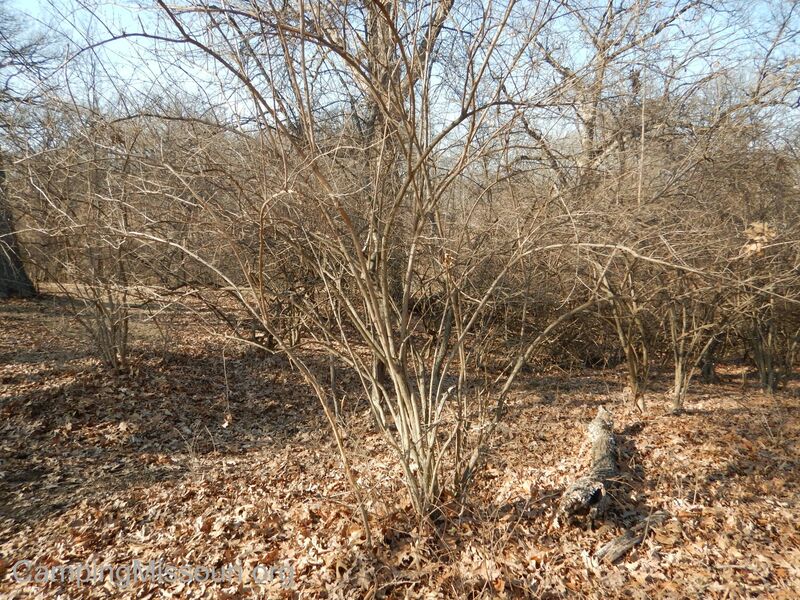 Within a couple months, this thicket of Bush Honeysuckle will be blocking any chance that native plants have to grow here, as it advances further each year. For opportunities to get involved across Missouri, click on this link to see what the Missouri Department of Conservation has going on. To get involved in the St. Louis area, click on this link to learn more about the Open Space Council’s OWLs program. YOU can make the woods and riverways a better place. YOU can improve the health of the natural areas you love. Get out there and do it! Well…I felt there had to be a connection, somehow…and I think what I was attempting to get at is the idea that a singular entity in a biological system, like only eating one type of food or having only one type of plant in a natural space, creates an unhealthiness in the entire picture. Plus, I know that just having Honeysuckle around makes for a boring forest, and the Honeysuckle is consuming St. Louis, among other places. Thanks for reading! « Are you crazy? It’s FREEZING out there! Why you SHOULD hike in the winter.